Izmir is Turkey’s third largest city and second port after Istanbul, with a population of around 3.7 million. The city sits on the Aegean sea, surrounded by mountains and has a longstanding reputation for its cosmopolitan feel. The best places to stay in Izmir offer the traveller the best opportunity to discover and explore this historic city. Izmir was formerly known as Smyrna and has had a long illustrious past dating back to Trojan times. It is believed to be the birthplace of the poet Homer and has been variously colonized by Greeks, Ionians, Romans, Byzantines and Turks. The city has been destroyed by both earthquake and fire and yet has risen again. Most recently, Izmir was under Greek control following the end of the First World War and the collapse of the Ottoman empire. A Civil War ensued with Kemal Ataturk eventually reclaiming Smyrna (as it was then) for Turkey. This coincided with the burning of the majority of the city in 1922. Sadly, as a result precious little of the ancient architecture remains. There is still much of interest for the sightseer; Konak Square with the famous clock tower provides a great spot for a bite to eat and some people watching. The Kemeralti Bazaar is a large market with plenty of shops and stalls making it perfect for picking up some local goods. Asansor elevator which was built in 1907 to help the more prosperous locals return home to their mansions up the hill. There are beaches and boat trips to enjoy and all the diverse nightlife that a modern city has to offer. Stroll along the Kordonboyu waterfront with plentiful cafes, parks and restaurants - it's a fantastic place to experience local life. Our pick of the best places to stay in Izmir are ideal bases for exploring this buzzing city. 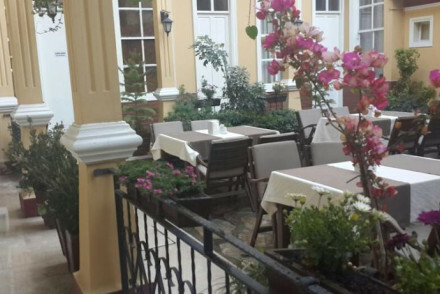 Otel Antikhan is a charming 30 room hotel located in the old town - fifty metres from the Hellenistic Agora (market). It has oodels of character, all mod cons, free parking and a friendly, welcoming atmosphere. 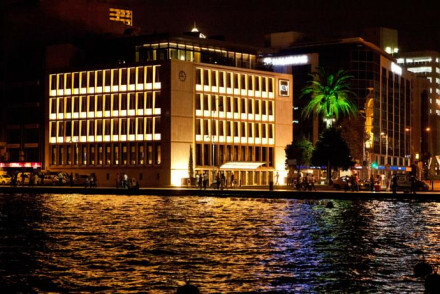 The Key Hotel was originally the Turkish Central Bank building in Izmir which was recently refurbished as a ‘luxury lifestyle hotel’ with minute attention to detail and the modern travellers' every whim. The hotel sits in the centre of the city, overlooking the Aegean and enjoys a refined atmosphere. If you'd prefer a self-catering option this holiday, don't hesitate to visit our online partner Booking.com for a range of centrally-located properties ideal for exploring all the city has to offer. Fly to Adnan Menderes Airport located 17km (10.5 miles) from Izmir. The airport caters to various domestic and International destinations and has bus and taxi links to the centre of town. Alternatively, catch a train to Izmir with rail links to other Turkish cities. Best time to visit - from June to August when the temperatures are warm and rainfall levels are lower. Characterful property in a central location. Pretty central courtyard filled with bougainvillea. Simple, traditional rooms - some with three beds makes this, along with the very reasonable rates, an ideal choice for families. Local exploring - Well placed in the city centre, perfect for exploring the rabbit warren streets of this ancient city. Sights nearby - Visit the Roman ruins of Ephesus, a must for any visitor to this area. Local markets - Haggle for goods at Kemeraltı Market, just steps from the hotel. Set in the heart of the city, The Key is a luxury-driven lifestyle hotel. The restaurant provides breathtaking sea views and international cuisine with Aegean flair. Bedrooms are stylish and chic, equipped with latest technology. Perfect for those seeking nightlife in a city with history.